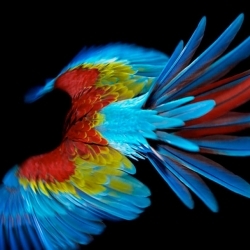 Perroquet, a beautiful series of photographs of parrots in flight by Sølve Sundsbø. 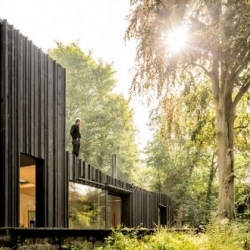 Black Wood House in Normandy by Marchi Architects. 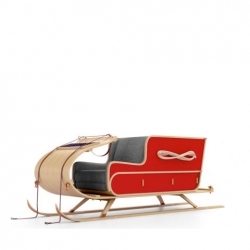 MADE's Kringle Sleigh in Scandinavian Ash designed by Steuart Padwick. People Lamp by Pedro Mendes for So What? Portugal. 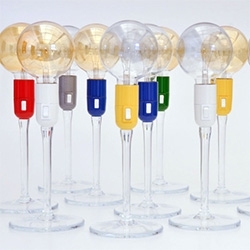 Fun wine glass stemmed lighting! 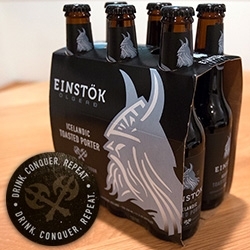 FEATUREDEinstök Icelandic Ales - beautiful packaging we couldn't resist, and delicious beer within! Drink. Conquer. Repeat. VIDEOBruton Stroube Studios' Annual Holiday Card. 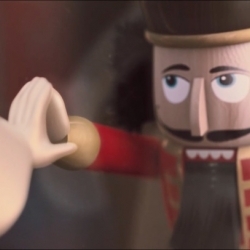 This year's takes the form of a 4-minute short integrating 3D Animation and live action footage. Enjoy! FEATUREDStranger & Stranger delivery! 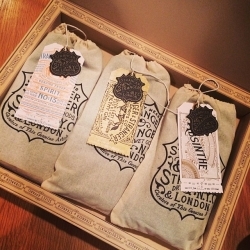 Mind blowing holiday surprise from the masters of packaging ~ this year, they revisit their Holiday Spirits, turning the labels into beautifully packaged tshirts in a stunning box! 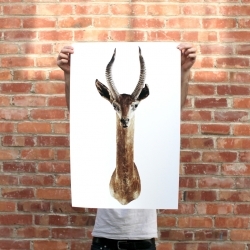 "Preserved" is a series of prints by Print Studio Shop documenting vintage taxidermy animals. 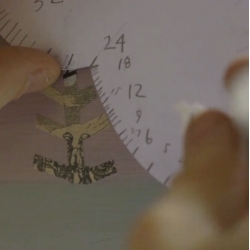 The series further preserves each animal in print and tells the story of their present day existence. 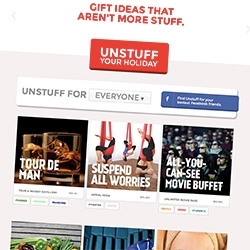 Unstuff Gifts - "Gift ideas that aren't more stuff." 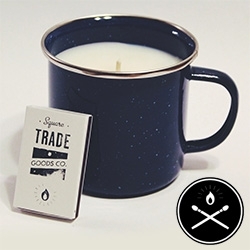 Square Trade Goods Co. - Nice logo and fun concept of an enamel camp mug candle. 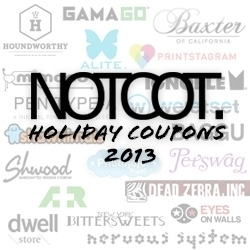 FEATUREDNOTCOT 2013 Holiday Coupons ~ More help on your holiday shopping for goodies for your loved ones... or a little something for you! 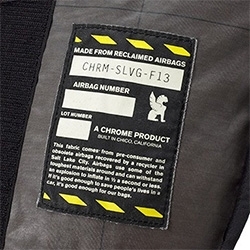 Chrome Industries is turning salvaged, pre-consumer, obsolete airbags into messenger bags. 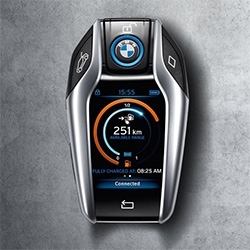 BMW i8 Key has an LCD screen on it to tell you if the car is locked, your available range, and how much charge you have. 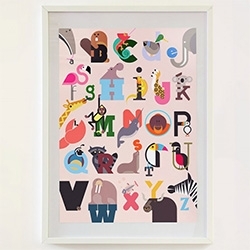 Build's Animal A-Z posters - adorable illustrations! 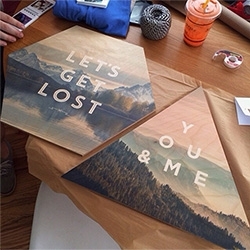 FEATUREDLet's Get Lost - You & Me - a peek at What We Do Copenhagen's wooden Faunascapes up close! 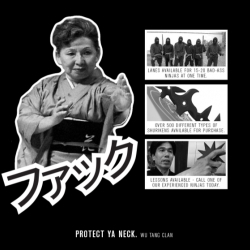 Ninjas Indoor Throwing Star Range - The United States first indoor throwing star range and sake bar. 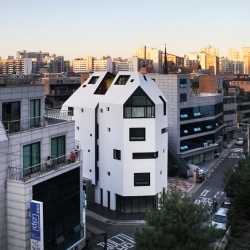 'White House' by Design band YOAP in Seoul, Korea. 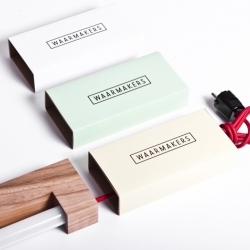 Ninebyfour is an archetypical tubelight fixture, crafted from an atypical material; wood. 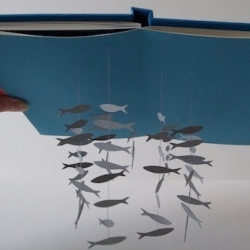 This is possible through the use of energy efficient Philips LED light tubes. 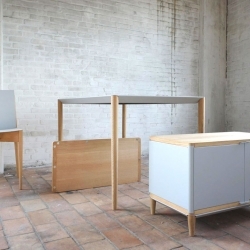 Magnetic Furniture by Benjamin Vermeulen Just snap and click and pop those pieces together. Amazing. 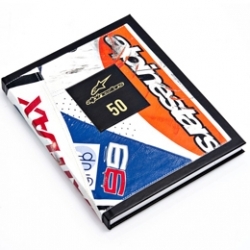 Prolific motorsports brand ALPINESTARS, 50 Year Anniversary book bound in the battle scarred, reclaimed leather of crashed motorcycle suits worn by World Champion Motorcycle racers. 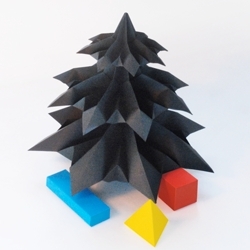 Beautiful origami Christmas tree by Jonas Schenk. 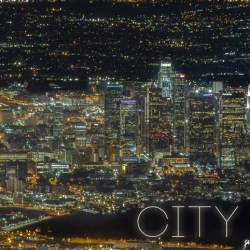 VIDEOCity Lights from Colin Rich, a stunning timelapse over the city of Los Angeles. 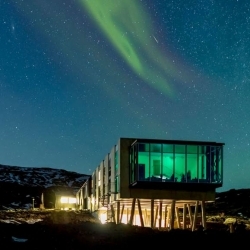 Ion Hotel Iceland designed by Minarc. 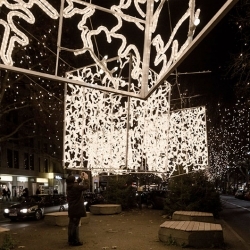 Christmas lights by Brut Deluxe for Wall AG in Berlin's Kurfürstendamm. 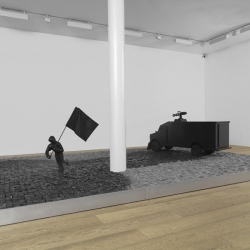 VIDEOExperimental animation meets pottery by Jim Le Fevre, Mike Paterson and Roops and Al Johnstone (RAMP ceramics), commissioned by the Crafts Council. 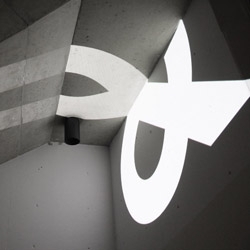 Audra Hubbel's 'Letters at Large' are projections of giant letterforms onto the Chicago urban landscape. 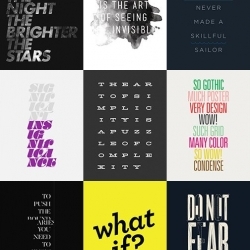 Artefact is publishing '15 quotes' posters for the holidays, with all proceeds to The Red Cross. 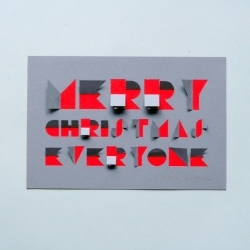 Clever laser cut and hand assembled Christmas card by Oliver Hrubiak embodies the joy of opening advent calendar windows. 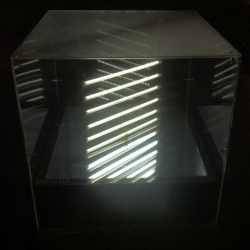 The Hatch is a kinetic light sculpture half buried in the ground. Afar, it looks like an illuminated ladder. 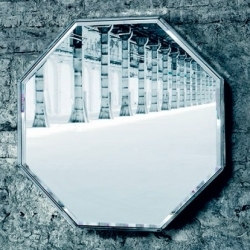 Above, one sees an endless tunnel to the bottom of the earth. 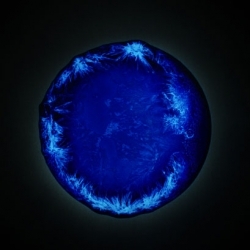 By Liat Segal and Hagar Elazari, is showing at the Amsterdam Light Festival. 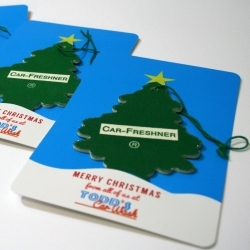 A clever Christmas card for a car wash - using a tree air freshener! 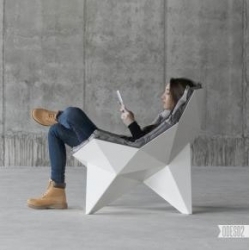 The Lounge chair Q1 by ODESD2 based on Richard Buckminster Fuller's spherical thin-shell structure. 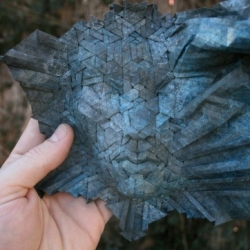 Joel Cooper shows his process behind painting paper and folding masks. 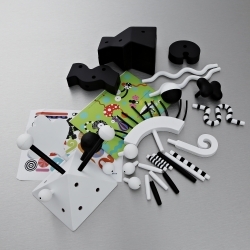 Pop-up fun from Chisato Tamabayashi. 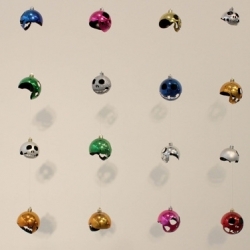 Illuminated bent glass Christmas ornaments by Pernilla Ohrstedt at London's Edition Hotel. 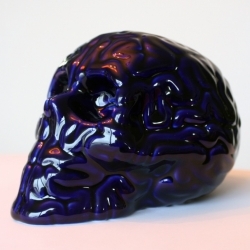 Sarah Schoenfeld takes a close look at recreational drugs. 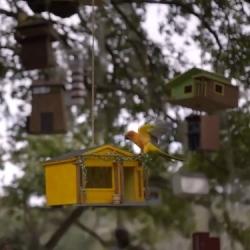 VIDEOAirbnb's latest campaign Birdbinb compares birds to travellers, creating 50 birdhouse replicas of Airbnb listings. The resulting birdhouses were strung up at the “Tree of Life” in New Orleans’ Audubon Park. 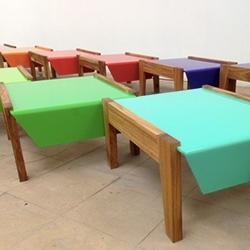 Benchmelade series combining aluminum and woodwork, designed and made by Puerto Rico based María del Mar Gómez and Martín Albarrán. 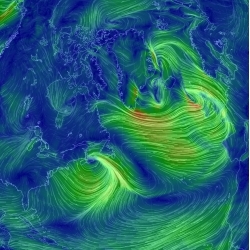 Earth wind map, a visualization of global weather conditions forecast by supercomputers and updated every three hours. 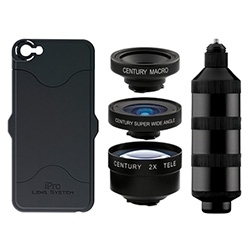 iPro Lens System ~ another case/lens set for your iPhone and Galaxy S4. Macro, 2X, Wide Angle, Super Wide Angle, and Fisheye options. 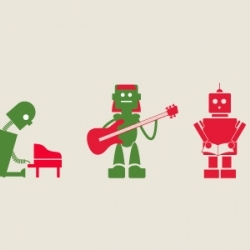 The folks at MOO.COM have built this interactive Festive Funk Machine that lets you create your own holiday jam. 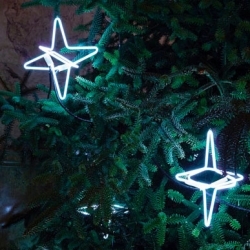 Go ahead, procrastinate a little today and compose some holiday spirit. 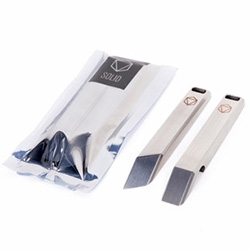 SOLID: Series One Titanium Tool Set by INDUSTRY. 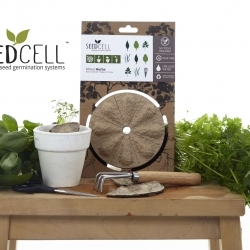 It is a pair of modern tools that ship as a set of two; one Edge tool, and one Opener. The Titanium is a Hand Eye Supply Exclusive. 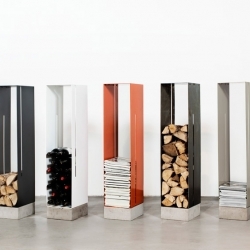 'Manhattan' metal and concrete shelves by Swedish designer Cornelia Norgren for Röshults. 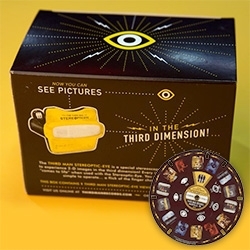 Third Man Records' Third Man Stereoptic-Eye with Nashville Headquarters Viewing Disc - great packaging and branding details! 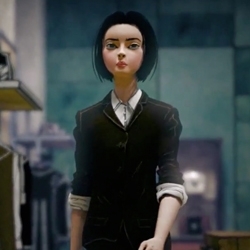 Artist Yuko Shimizu's first 3D animation! For the 40th anniversary of Trussardi's greyhound logo.